This client requested a custom fertility bracelet incorporating several gemstones to assist with pregnancy. She wanted a similar design to our chakra bracelet that she can wear paired with our Original fertility bracelet. She also envisioned a sterling silver Pineapple charm to adorn the bracelet as a symbol of fertility. 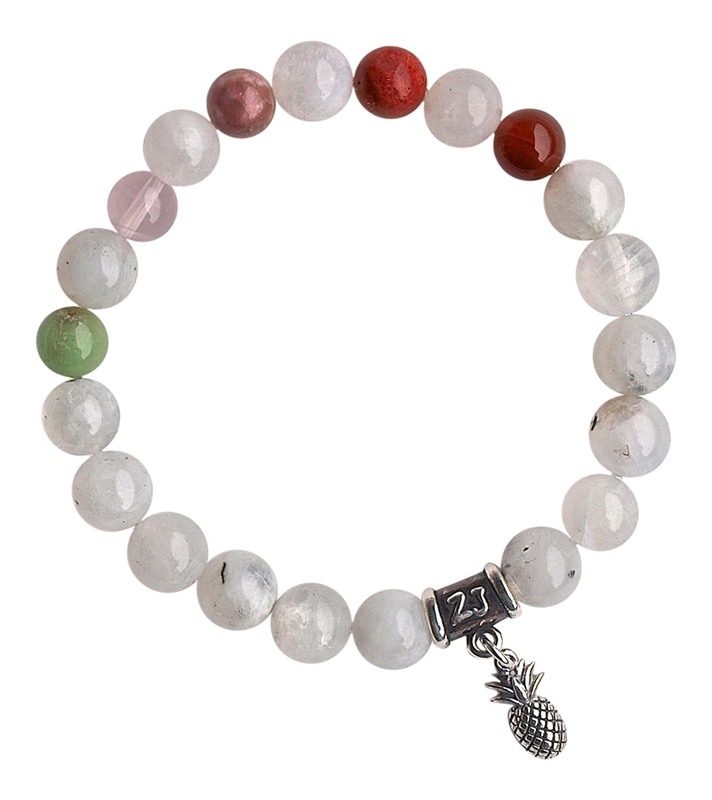 The gemstones I chose for this bracelet are: White Moonstone, Chrysoprase, Rose Quartz, Rhodonite, Red Sponge Coral and Carnelian. "I am obsessed with my new fertility bracelet that you helped me create! As I go through my infertility journey I will find comfort and hope wearing it through all the Dr. appointments. Here is to hoping for a little "pineapple" of my own sometime soon!"